'Microsoft loves Linux' so much that now the company is bringing the popular Bash shell, alongside the entire Linux command environment, to its newest Windows 10 OS in the upcoming 'Anniversary Update,' Redstone. The rumours before the Microsoft’s Build 2016 developer conference were true. Microsoft has just confirmed that it is going to enable its users to run Bash (Bourne Again Shell) natively on Windows 10. Also Read: Microsoft Drops a Cloud Data Center Under the Ocean. Microsoft has partnered with Ubuntu's parent company Canonical to ensure the Bash experience for users is just as good in Windows OS as it's in variants of Linux. 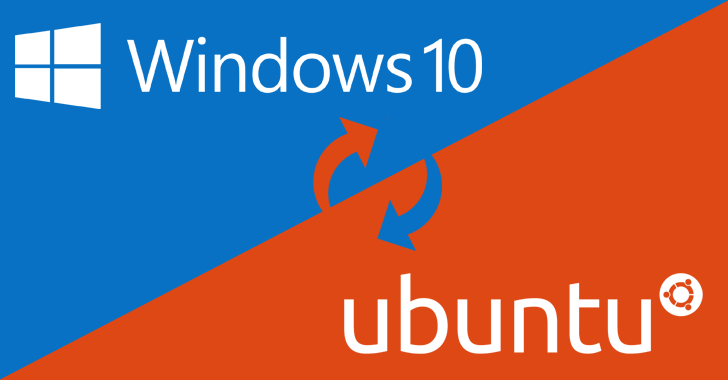 Although the Goal of the partnership, in the end, is to bring Ubuntu on Windows 10, don't expect it to run Ubuntu directly on Windows 10. Users will be able to download Bash from the Windows Store. BASH or Bourne Again Shell is capable of handling advanced command line functionalities that are not a cup of tea for Powershell or CMDs. 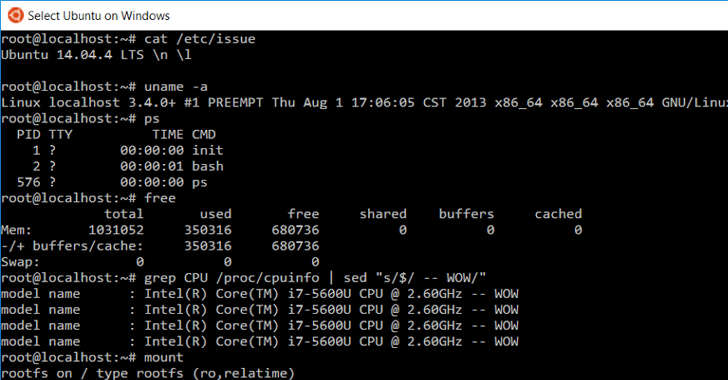 "The Bash shell is coming to Windows. 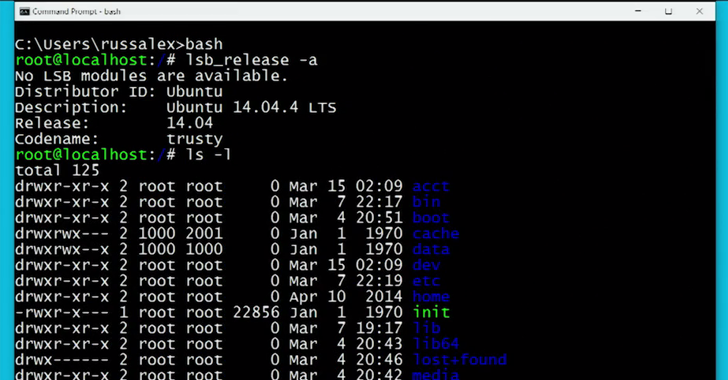 Yes, the real Bash is coming to Windows," said Microsoft's Kevin Gallo at Build 2016 keynote. "This is not a VM [Virtual Machine]. This is not cross-compiled tools. This is native." There already exists third-party apps to implement Bash shell running on Windows, such as Cygwin or MSYS. But the new move by Microsoft would eliminate the usage of 3rd party utilities, offering, even more, flexibility for developers who prefer using these binaries and tools. How to Run Bash on Windows? 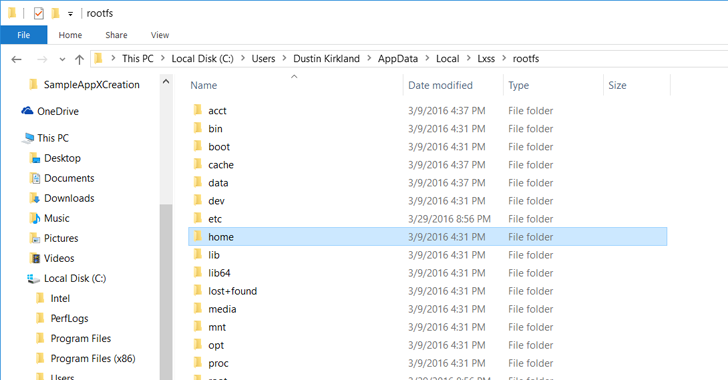 This will open a command line console (cmd.exe) running Ubuntu's /bin/bash, Dustin Kirkland, Canonical's Ubuntu Product and Strategy team member, explains in a blog post. The system features a full Ubuntu user space complete with support for tools including ssh, apt, rsync, find, grep, awk, sed, sort, xargs, md5sum, gpg, curl, wget, apache, mysql, python, perl, ruby, php, vim, emacs and more. Don’t get confused, as Microsoft is not enabling all Linux applications to run on top of Windows nor this is "Microsoft Linux." The company is just providing support for Bash on Windows 10 as an expansion of its command-line tool family. So, the company is working on integrating Ubuntu User Space in Windows 10, as a hacker has already spotted a Linux subsystem in preview build (build 14251) of the Windows 10 code in late January. "So just Ubuntu running in a virtual machine?" Nope! This isn't a virtual machine at all. There's no Linux kernel booting in a VM under a hypervisor. It's just the Ubuntu user space. "Ah, okay, so this is Ubuntu in a container then?" Nope! This isn't a container either. It's native Ubuntu binaries running directly in Windows. "Hum, well it's like cygwin perhaps?" Nope! Cygwin includes open source utilities are recompiled from source to run natively in Windows. Here, we're talking about bit-for-bit, checksum-for-checksum Ubuntu ELF binaries running directly in Windows. This isn't Microsoft's first step towards implementing Linux functionality in Windows. Just last year, Microsoft had worked on the Linux Kernel and made a Linux OS called Azure Cloud Switch. It also chose Ubuntu as the operating system for its Cloud-based Big Data services.